Food-tech expansion is the challenge and if one is not having gross margin of 50 per cent he/she is not going to make money. 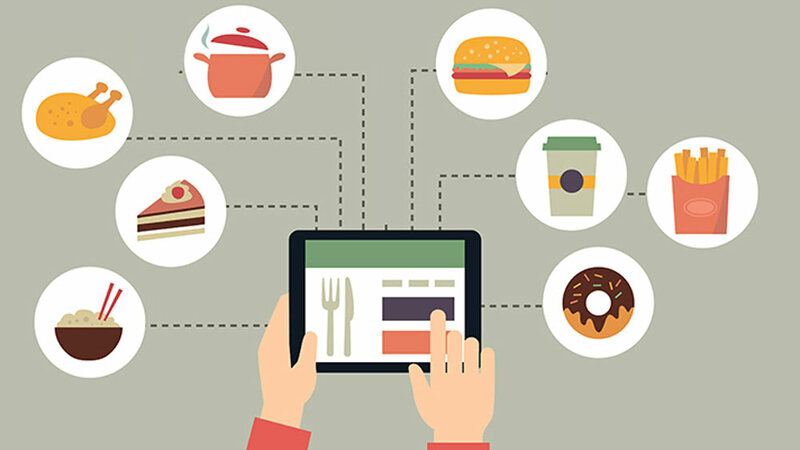 Year 2015 can be crowned as the shining period of food-tech start-ups in the country. From aggregators to subscription based model, fresh delivery business, healthy food sites and online booking to reservations sites, all saw great cash flows coming from the investors. But as 2016 is making its way ahead, the industry doesn’t seems to be doing good when it comes to continuing the same growth propaganda with which it was started. The markdown of food-tech leader like Zomato could be topped as the downfall of food-tech business in India. However, this would not leave an earth shattering impact on the food-tech industry as the industry is already facing dearth of cash flows and business from quite some time. From merging two businesses to one, shutting the doors and vanishing from the scene, closing of business in expanded cities, these start-ups are facing blood bath. Since, most of the food-tech players entering the business are thinking that the space could be a sure shot for them because food is one commodity which is never going to die in any country, few of them have worn out because of their greediness for short term expansion and quick moves. Absence of experience: Started by a fresh graduate or somebody who is very young in the business, these start-ups lack the experience of quality judgement and decisions at times. According to the experts as most of the start-ups are co-founded by fresh IIT graduates thinking that food is alluring segment to enter. Quick on funding: With people either becoming an angle investor or an individual investor in a particular company, food-tech players have not really felt the heat of getting the cash flows. The model is ready, customers are coming in, investors are ready to fund, expansion is in process, but there is no scale in returns. “I was approached earlier this week by the founder of a food delivery start-up who asked me if we were interested in participating in a funding round, after a potential investor removed their support. We declined,” Brett Stevens, ‎Vice President, Jaarvis Accelerator shared. Ignoring the unit economics: experts in the industry have been talking about ‘UNIT ECONOMICS’ for long. Everybody knows that achieving unit economics in India is risky. Customers in the country are very experimental, they look for good quality food at minimal or value for money pricing. And, hence luring them with discounts and then burning their own pockets can be dangerous for these start-ups. “Food tech has been seeing challenges including lack of new funding, failures and consolidation and more of that will continue. However, the primary challenge to me has been inability to scale and lack of focus on unit economics,” said, Ash Lilani, Cofounder and Managing Partner of Saama Capital. Loyal customers are a gift: Most of these start-ups are not trying to make a strong customer base, rather they are attracting new customers by some great deals and discounts which last for few days and they loose on their existence customer base. Instead, if they would work on making their first customer a loyal customer by serving him/her quality food, they would shine in the highly stiff market. “Anything which is focusing on delivery alone is very difficult to make money because in India most deliveries are done for free because the restaurant is in particular radius and Indian customers are not ready to pay for delivery and it is a challenge,” expressed Hemendra Mathur of SEAF India citing that there is no future for food tech start ups in India. Stop ‘Expanding’: As these start-ups have entered many cities without even having base kitchens, they are facing the heat of the industry. Expanding to regions that has small area could also add to their flat fall as most of people in such cities prefer to directly call a restaurant and order food, than to order it via such platforms. Hence, focusing on one city and then growing business in that region could be a game changer for the industry. And, hence we can say that most of these businesses that started presumed that the scale will become so large and half the target population will order through online or app, which is not happening. But the result is going in a backward direction where people today are ordering directly from restaurants and those who are ordering from app or their sites are only for discounts. And, once the discount is over the order rates goes down, so according to the experts in the industry food-tech expansion is the challenge and if one is not having gross margin of 50 per cent he/she is not going to make money. Even, if one is working on 15-20 per cent gross margin they are not going to make money. There is no future for such business. "The focus will be on sharpening the business"..